Seen here investigating a burglary five years ago, Lincoln police Detective Mark Fucile is working on as many as eight possible burglaries linked to suspect Michael J. Thurlow. An alleged burglar known to police for having left a cellphone at a Lincoln break-in in March has been arrested in connection with burglaries at two town offices earlier this month, police said Wednesday. 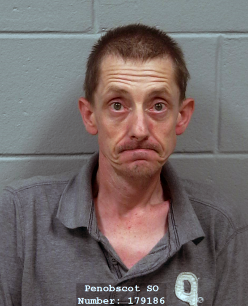 Michael J. Thurlow, 39, of Howland was charged Monday with four counts of Class B burglary and six counts of Class B theft, according to a statement from the Penobscot County Sheriff’s Office. Michael J. Thurlow 39 years of age of Howland, has been arrested and charged with 4 counts of burglary (class B) and 6 counts of theft (Class B). The four alleged burglaries include two at the Enfield and Maxfield municipal offices June 8. A house off Enfield Road in Lincoln was also burglarized June 12, as was a camp off Lincoln’s Go Devil Road June 6, Lincoln Public Safety Director Dan Summers said. An exact list of the items stolen or the six theft charges was not immediately available. Penobscot County sheriff’s Chief Deputy William R. Birch said he hoped to provide more information later Wednesday. A partial list of the stolen items includes electronic equipment and an undisclosed amount of cash taken from the town offices; a firearm, $1,000 cash and an XBox One video game system from the Enfield Road house; and another firearm and $400 in change — several coffee cans of quarters and dimes — from the Go Devil Road camp, Lincoln police Detective Mark Fucile said. Thurlow was already in Penobscot County Jail in Bangor on a burglary charge connected with the March theft of items from Access Auto of Lincoln where police found a cellphone that they linked to Thurlow, Summers said. Thurlow is a suspect in as many as eight more burglaries in Lincoln since March. Physical evidence, confessions and the similar methods used in the burglaries are among the things that police believe link Thurlow to the crimes, Fucile said. Addiction and the need to buy drugs likely motivated the thefts, Summers said. One of the stolen items, the video game system, was returned to its owner after being turned in to a local pawn shop on June 21, Fucile said. Lincoln, Enfield and Maxfield are all located about 40 miles north of Bangor along Route 155 and Interstate 95. 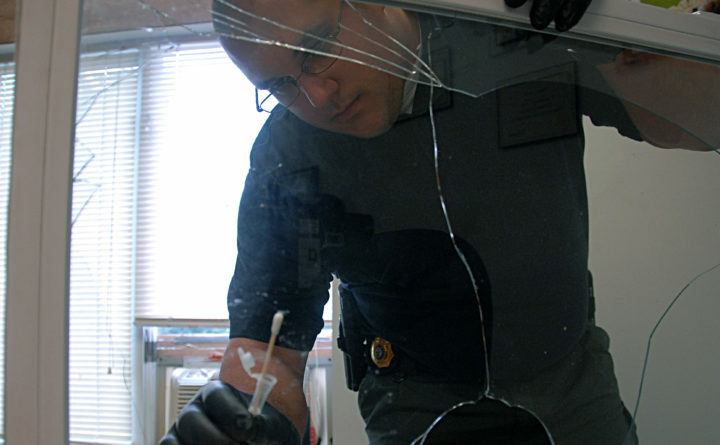 Maine Drug Enforcement Agency continue to investigate the burglaries. Thurlow is currently being held on $5,000 bail.